…in my own way. 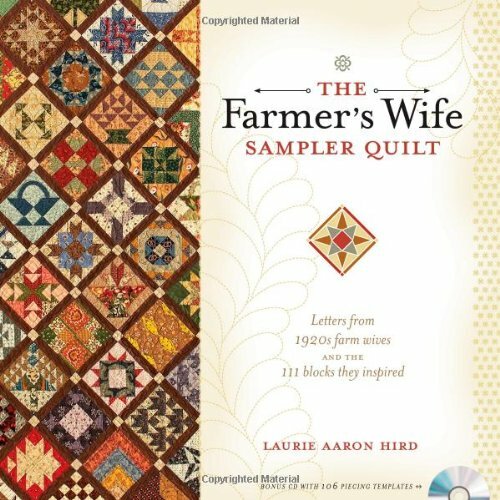 I think The Farmer’s Wife Quilt frenzy has dissipated, just in time for me to purchase a copy. I received my copy today and find the stories heartwarming and remarkably close to home. My maternal grandparents owned a large farm in rural Quebec, I think my Grandfather was already in his 30’s when he and my Grandmother met, there were 15 years between them! According my to Grandma, she more or less asked Grandpa to marry her. They had 10 children, 8 girls and 2 boys, my Mother was the oldest girl in the family. Grandpa always said that the girls were more helpful on the farm than boys because they stuck close to home. I’ve heard a few stories from my Grandparents and Aunts, I’m sure many more are untold. Perhaps I should organize a collection for our heritage. Grandma was amazing, not only did she raise 10 children of her own, she cooked for a logging camp and helped with the local doctor’s children and her own grandchildren. I think she had over 10 (or more!) great grandchildren before her passing. Grandpa was also amazing, he was well into his 90’s before he left us and was still tending the fields in his 80’s despite his lack of sight. I remember visiting him in the hospital and he knew exactly who I was AND my son. It really touched my heart, he never passed judgement on me despite my choices in life. He also had the memory of an elephant! I think he was born in 1900 if I’m not mistaken. Family — if I’m wrong, please correct me. I think about my Grandparents often, they were very strong people. I wonder what my Grandmother would have said if the question was posed to her, “Do You Want Your Daughter to Marry a Farmer”. If I had a daughter, I would say YES! without hesitation. But not a modern day farmer, an organic farmer, of course! I want to invite all my aunts and cousins to purchase a copy of this book for themselves, even if they don’t quilt, the stories are touching and I think they’ll all read something that reminds them of the farm. This entry was posted in Quilting and tagged The Farmer's Wife Quilt by Tabatha. Bookmark the permalink.